I love the combination of pumpkin and spinatch! This soup helps you to get various vitamins, minerals and fiber at once that support your health and beauty. 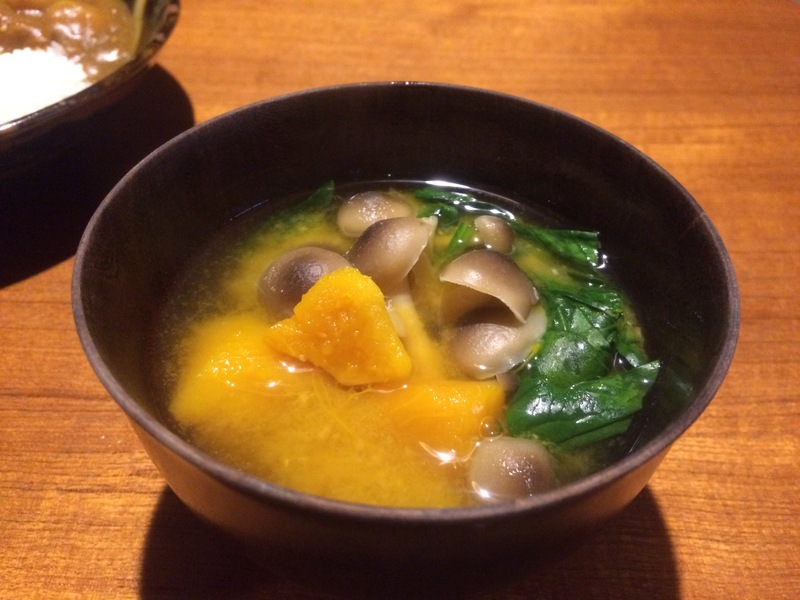 Pumpkin, spinach & shimeji mushroom. Please be careful not to overcook the pumpkin – this soup does not taste/look good if it gets mushy. 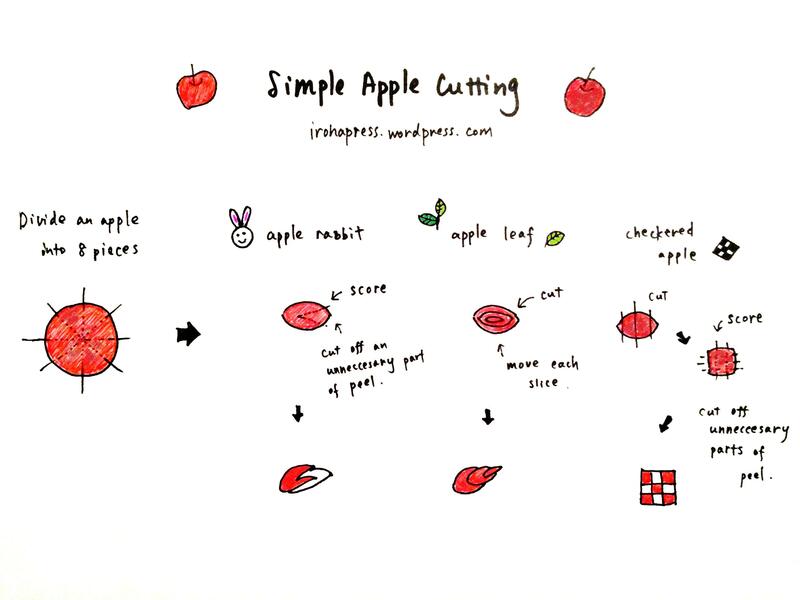 Apple cutting is fun! This was the first apple I got this autumn and I just coudn’t help trying it. 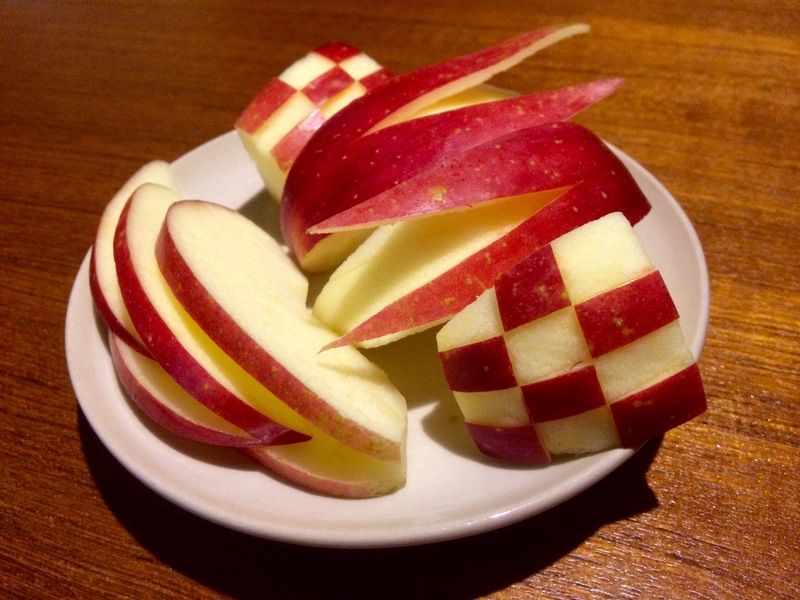 These are the basic designs frequently used in Japan – apple rabbit, apple leaf and checkered apple. Above all, apple rabbit is the most popular one. As a kid, I loved it so much and felt happy to find it in the bento box. 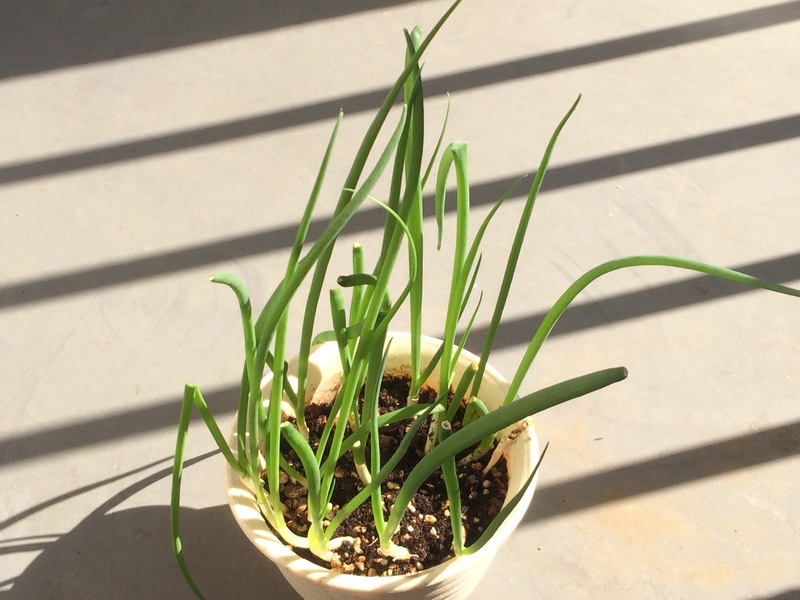 I love this kind of small technique in daily cooking that bring us a little happiness. Here’s how to (click the image to enlarge). In autumn and winter, daikon radishes, hakusai (napa cabbages) and apples come in to our place. Now the daikon season has come. 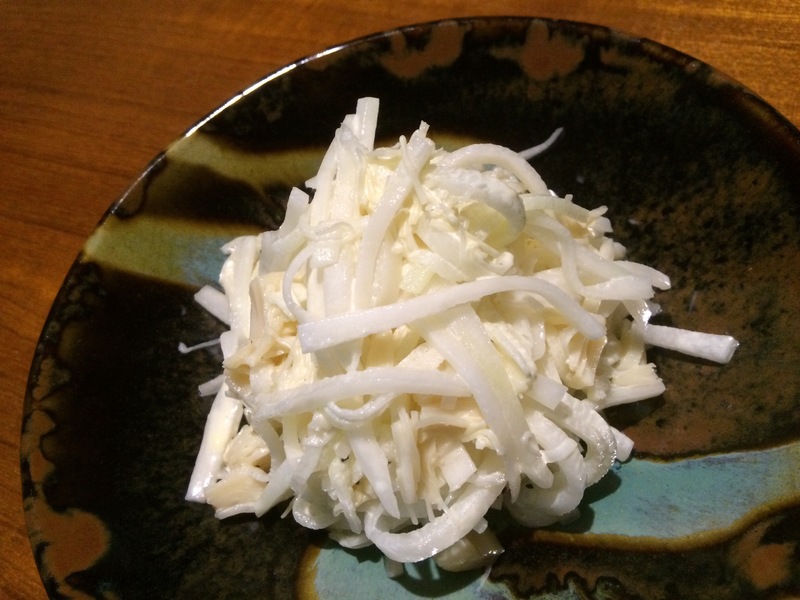 This is a popular recipe to enjoy fresh daikon at home. 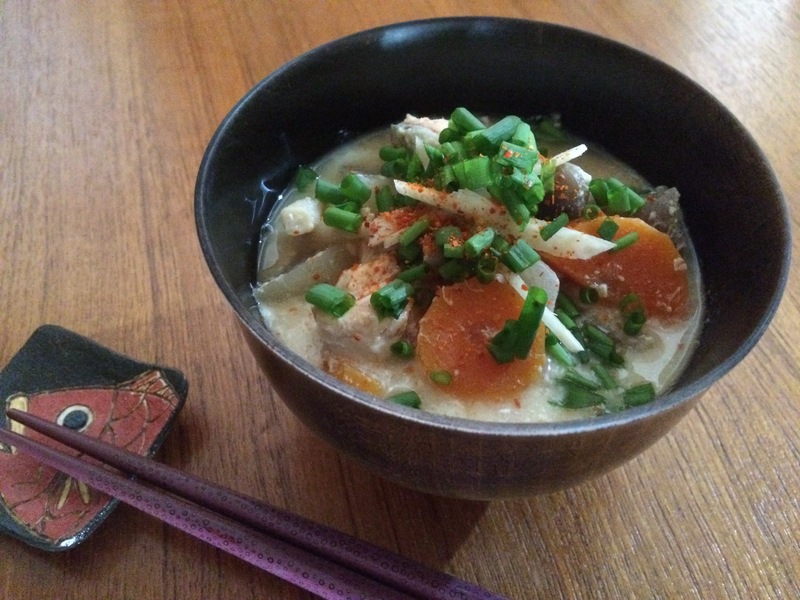 It’s super simple and tastes great. It goes well with sake, beer and white wine as well. 7-8 cm daikon, a can of scallops, 2-3 tbsp mayonnaise (I recommend ’Kewpie’! ), a pinch of salt and black pepper. Julienne daikon, put into a bowl and sprinkle over salt. Leave it for a while, around 5-10 minutes until the liquid comes out. Squeeze out the moisture. Add a can of scallops (together with the liquid inside the can), mayonnaise, black pepper and mix well. 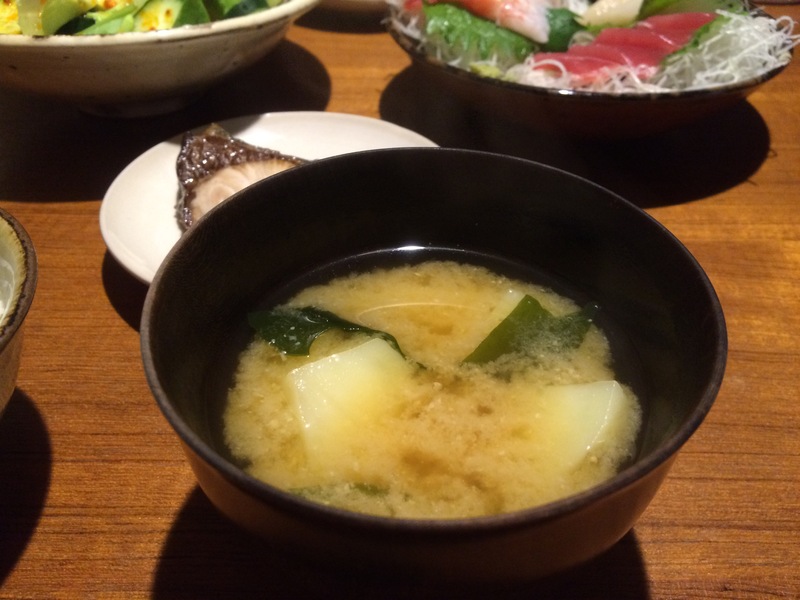 One of the most basic miso soup ingredients – potato & wakame seaweed. Very simple, but comforting. 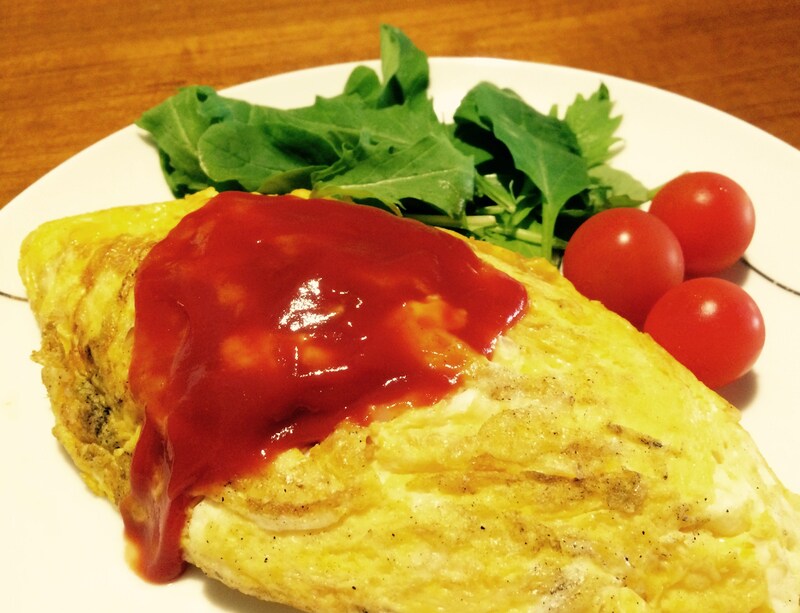 Omu-rice is one of the most popular Japanese one-plate dishes at home and restaurants. For me, it’s best for a weekend brunch. It’s easy, tasty, filling and doesn’t require special ingredients. And no need to wash lots of dishes afterwards! 150g cooked rice, 1/4 onions, vegetables + meat/fish you like, ketchup, milk, oil, black pepper. *This time, I used a green pepper, salmon flakes and dried ‘sakura ebi (tiny shrimps)’. Make ketchup flavored fried rice: Stir fry chopped onions and vegetables + meat / fish. Add 1 tbsp ketchup and stir well. Then add rice and black pepper, stir until all the ingredients are mixed. Make omelet: Beat 2 eggs in a bowl, add 1/2 tbsp milk and mix well. Then fry it in a pan. Wrap rice with the omelet in the pan. Decorate the surface with ketchup as you like. Ketchup flavored fried rice + ketchup topping is just the basic. In fact, there are different omu-rice dishes. Fried rice can be flavored with butter, soy sauce or salt + pepper instead of ketchup. If you use bechamel or demi-glace sauce instead of ketchup topping, it will make a sophisticated dinner plate. Or you can even make curry omu-rice: use plain rice, make omelet and finish with curry sauce. 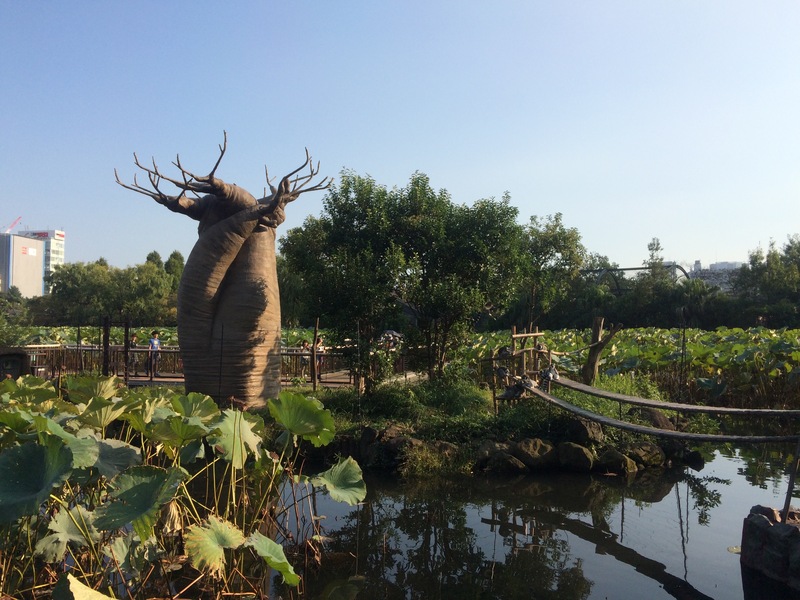 Ueno Zoo – one of the most nostalgic places for those who grew up in the eastern Japan. 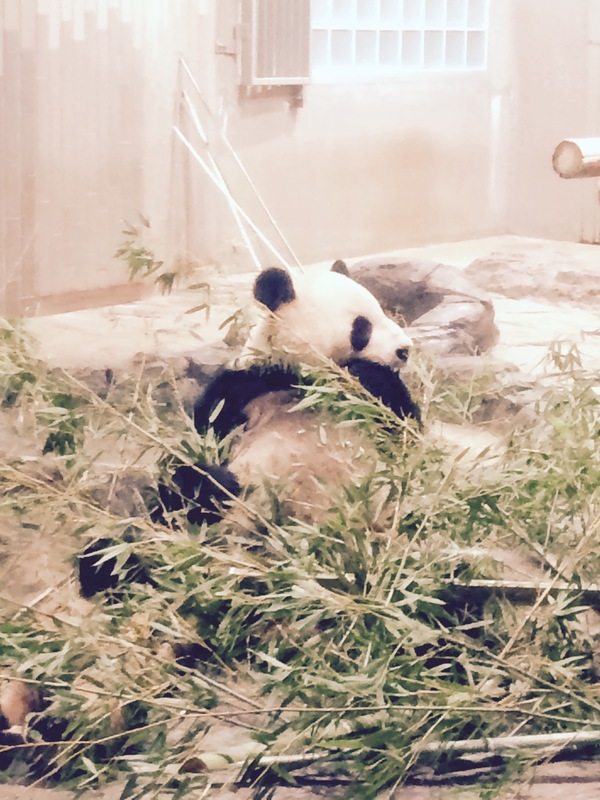 The iconic giant panda. Happy or sad? I like this pond the best in the zoo. 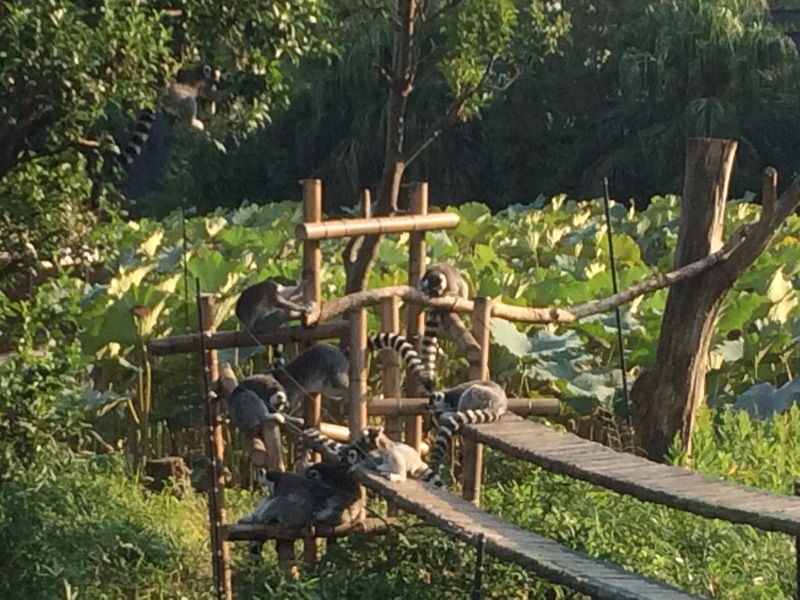 A fake baobab and real lemurs.